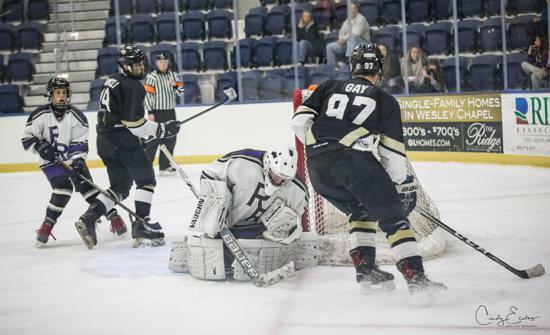 This week’s Senior Spotlight is on River Ridge goaltender Daniel McCarthy. Daniel was born in Georgia, everything changed for Daniel when he was just four years old. His father, a proud member of the United States Army Rangers was relocated to Japan. As strange as it sounds, this is where Daniel would feel the ice beneath his feet for the first time “I just remember being a little kid and my dad took me to a big rink in Japan. He held my hand while I skated. I just had my skates and a helmet on. It is one of the first memories I have.” At the age of 6, Daniel and his family relocated again, this time to Edmonton, Alberta Canada. As to be expected, the passion that was ignited in Japan, grew even bigger as the McCarthy family planted roots in the heart of the great white north. It was there in Edmonton where Daniel first played organized hockey “That’s when I truly began to love and learn about the game of hockey. The town we lived in was so small that the mayor of our town sharpened the skates. 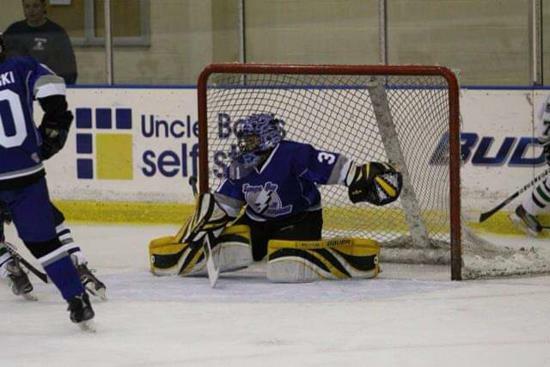 Growing up, Daniel played an array of sports. Basketball, baseball, soccer, and lacrosse; nothing did the trick for him. When it comes down to it he is a hockey player, a hockey player, and a hockey player. He lives and breathes the game like nothing you have ever seen. I ask him relatedly what he does outside of hockey and all he could do is laugh. “For fun, I play hockey, or I am working out trying to get into better shape for hockey.” Folks, I pressed him, I asked about hanging out with friends or going out or playing video games and you’ll probably guess what he said about that. “I don’t have time for anything else but hockey.” I think it is safe to say Daniel likes hockey a little bit. You might ask, what is next for Daniel? I hope you are comfortably sitting down for this because it involves hockey. 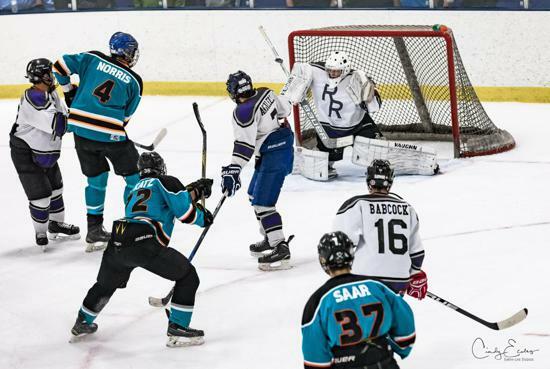 “My goal after graduating high school is to play Tier 2 juniors, I’d like to play in the North American Hockey League (NAHL) and pretty much go from there. If I can play in the NAHL for a year or two and perform well, I believe I would be able to go play in college. That’s my goal because my parents have supported me and my sisters throughout our lives, I really want to be able to say that I helped pay or even get my college paid for. 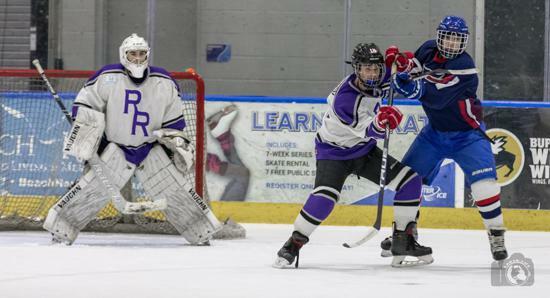 Daniel has played in the LHSHL for the past four years. He says throughout his time involved that the competition has grown immensely, and he hopes that in years to come or for the next generation of players that they take it more seriously. “I just wish I could go back and try harder in my developmental years, do one or two things differently.” Yes, ladies and gentlemen, the player who lives and breathes the game of hockey is so self-aware that he wishes he could go back in time so that he could train harder and play more. Which I personally believe is impossible unless he finds a way to add more hours to the day which also seems impossible. Let me go on the record by saying I will never doubt this young man. He is driven, and he knows what he wants. I wish Daniel nothing but the best of luck in the next chapter of his life, which as we know, will most likely involve hockey. Who knows, maybe he’ll come back and coach one of our LHSHL teams.